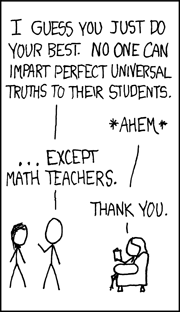 via XKCD No, thank you, XKCD. Sure, you need to understand some of the underlying scientific principles of color theory in order to calibrate a monitor, design a workflow, or build a LUT. At best, this is laziness. At worst, it’s a shoddy attempt to Blind You With Color Science. Color Science is real, and uniquely difficult. This is not say that color science isn’t a legitimate field of inquiry. Quite the opposite — it is, in fact, a uniquely difficult one. It doesn’t merely concern itself with objectively measurable optical phenomena. Very specifically, it is concerned with the human perception of those phenomena. The discipline of color science therefore overlaps physics, chemistry, biology, and psychology. Which is why we need constructs like “The Standard Observer”. As one reader pointed out to me: “Most real color science is not even related to the film industry.” That is true. At the same time, many film industry professionals have made significant contributions to the advance of color science. People like Joseph Slomka, Josh Pines, and of course Charles Poynton. I’ve often been asked why color encoding standards are not neater, tidier, more symmetrical. That one’s easy: we humans are not neat, tidy, or symmetrical. And the models that go around encoding that light and color information have to interact meaningfully with our complex, messy, and evolved human visual system. So the problem arises not with the existence of the term color science, but with its casual hijacking. Chatter about “my color science” or “their science” usually comes down to one party’s specific, subjective approach to a challenging engineering problem that involves color theory. How do I process this particular film stock? How do I build a perceptual transform from P3 to 709 color space? How do I algorithmically convert Standard Dynamic Range footage into a High Dynamic Range image that is pleasing to look at? How to de-mosaic this particular camera’s RAW sensor data? These are difficult and interesting problems to solve. They all involve knowledge of color theory. 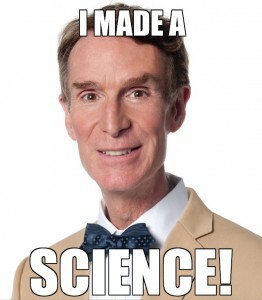 But one party’s preferred approach should really not be described as their science. It is merely their technique, their algorithm, their solution, or their product. So if you ever meet a post production supervisor whose blood pressure spikes when she hears the phrase “proprietary color science” — hire her on the spot. UPDATE: This article was revised to better clarify the legitimacy of color science as a field of inquiry, as delineated from the “casual hijacking” of the term itself.